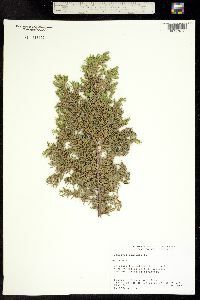 Locality: United States, Colorado, Moffat, Dinosaur National Monument, summit of Limestone Ridge. Habitat: Dense Pseudotsuga forest with Symphoricarpos on NNW exposure. Madison Limestone Formation. Occasional. 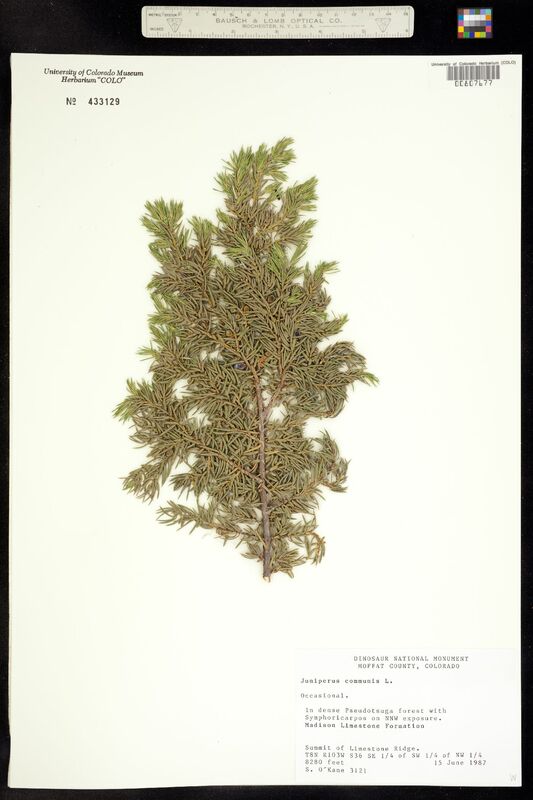 Notes: Original ID: Juniperus communis L.